Please look below for information regarding registration and potential out of towners housing options. Raspberry road continues directly to the entrance of Kincaid Park. Follow signs until you reach the Northwest Archers Sing on your right. 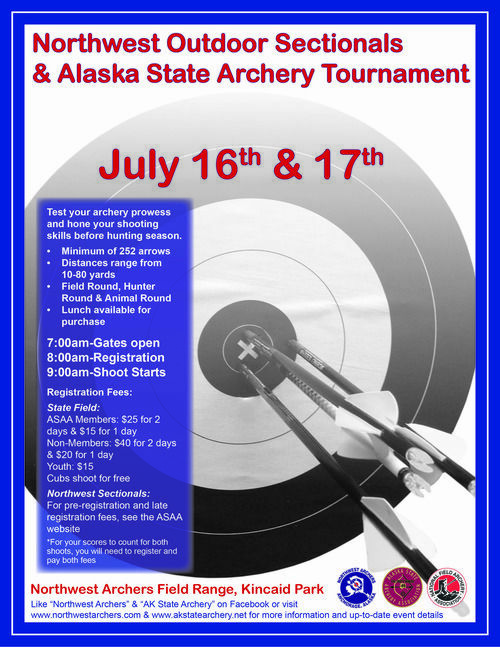 ​PRE-REGISTRATION for the Northwest Sectional Portion of this shoot is preferred however, there will be no late fees for this shoot.